There was a seven-year break between Tycho's first album, 2004's Sunrise Projector, and the official follow-up, 2011's Dive. Luckily, fans of the electronic producer also known as Scott Hansen won't have to wait nearly so long for his next LP, since Awake will drop on March 18 through Ghostly International. The album is made up on eight cuts. The rather minimal tracklist is below, and the cover artwork is above. Scroll past the tracklist to hear the previously unveiled title cut. 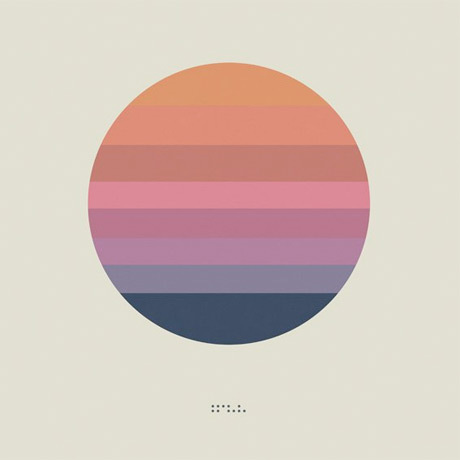 According to an announcement, "Listeners will notice the more organic, almost tactile elements of the track highlighted with layers of live instrumentation that serve to enhance the signature Tycho mood." "Awake" is also available to purchase through Ghostly's online store.